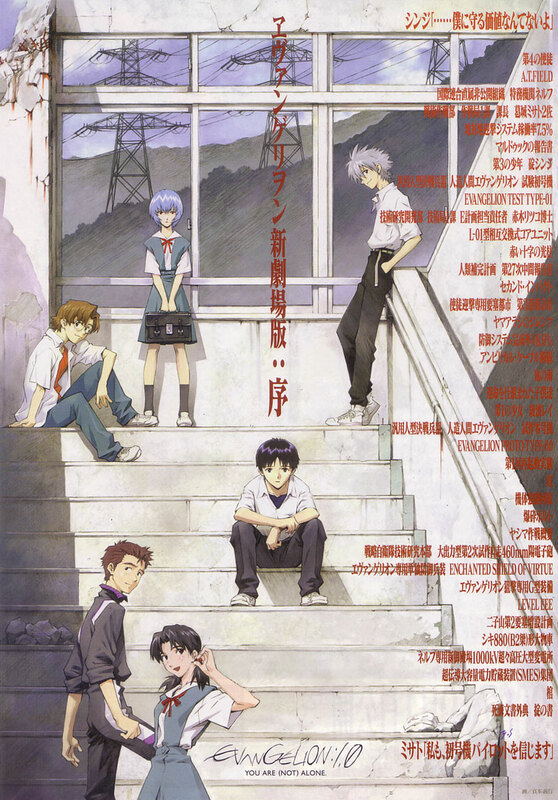 Ten years have passed since End of Evangelion, and we never thought Evangelion would return. We were wrong. Rebuild of Evangelion is essentially a retelling of the series planned over the course of 4 all new feature length movies. The first 3 will be a retelling of the events of the series. However, not only does Rebuild retell this classic series with more modernized visuals, it also includes all new events, changes and elements that never appeared in the TV Series. The fourth promises to take a new and different turn for the series. The first of this new movie series once again retells the story of Shinji Ikari and his journey to NERV in order to become a pilot of the mysterious robot known as the Evangelion. (Essentially retelling the events of Episodes 1-6) He learns that he is one of the only people capable of stopping the rampage of the Angels, which are mysterious beings that appeared after the Second Impact that destroyed Antarctica. However, Shinji and has conflicts with his estranged father Gendo Ikari and reluctantly becomes the pilot of Unit 01. However, with the help of Rei Ayanami and others around him Shinji gains the courage he needs to fight. The war between NERV and the Angels will rage once again. But are things really as black and white as they seem?